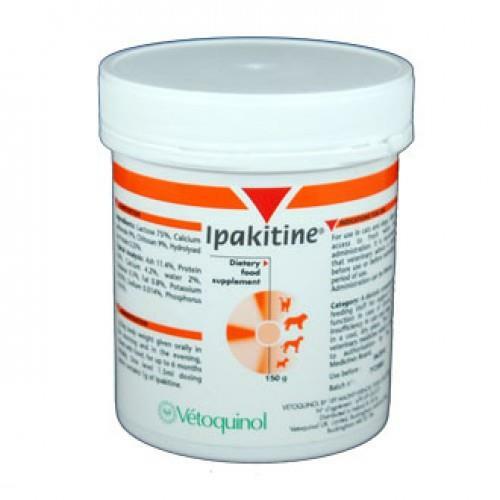 Ipakitine Supplement For Dogs And Cats 60gm provides calcium and dietary fiber for cats and dogs. Calcium and dietary fiber supplement for cats and dogs. Binds and reduces phosphate absorption; may be useful for chronic renal insufficiency. When fed at meal times it reduces phosphate absorption from the diet. 1g/5kg body weight twice daily by mixing with morning and evening meals. Administer only as recommended by a veterinarian.